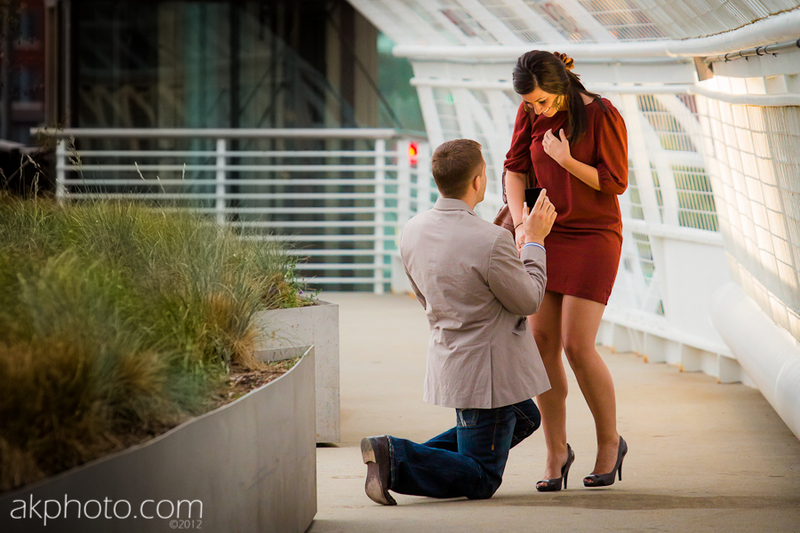 As Allen started explaining his idea and describing what he wanted me to shoot, I really didn't think that hiding at the proposal spot would be a problem until he hit me with the news... he didn't have a location selected yet. Worse yet - the planned proposal was less than a week away! We went into overdrive scouting locations, and while it was a little stressful, in hindsight I must admit that it was an incredible experience. Allen got the opportunity to consider locations that would have meaning to him and his future wife, and at the same time I was able to throw in my own two cents; being careful to point out that certain locations simply didn't offer a good hiding place for me to shoot from. Not every location is suitable for hiding a photographer off in the wings! Your photographer will need to know the location details, and may even advise you as to the position and angles required when popping the question. While it may seem like overkill, it's the only way to make sure that you'll be able to capture her expression when you pop the question!